Hardest hit has been the Dominican Republic, with half the cases reported in the Americas. According to the Pan American Health Organization, chikungunya has spread to at least two dozen countries and territories across the Western Hemisphere since the first case was registered in French St. Martin in late 2013. There have been a few locally transmitted cases in the U.S., all in Florida, and it has the potential to spread farther, experts say, but Central and South America are particularly vulnerable. The chief factors are the prevalence of the main vector for the virus, the aedes aegypti mosquito, and the lack of immunity in a population that hasn't been hit with chikungunya in modern medical history, said Scott C. Weaver, director of the Institute for Human Infections and Immunity at the University of Texas Medical Branch. "There are going to be some very large populations at risk down there, much larger than the Caribbean," Weaver said. Chikungunya is a word that comes from the Makonde language of Tanzania in eastern Africa and translates roughly as "that which bends up," in reference to the severe arthritis-like ache in joints that causes sufferers to contort with pain. It's usually accompanied by a spiking fever and headache. There have been only 113 deaths linked to the region's outbreak, according to the most recent data, but chikungunya can be crippling. Herman Slater, a 60-year-old gardener in Jamaica's capital of Kingston, said he was laid out for almost two weeks this month with unimaginable joint pain, hammer-pounding headaches and fevers that came in waves. "I tell you, I was surprised by how painful it was. It was taking me five minutes to get out of bed, and then I could hardly even walk," Slater said. "My hands were so bad I couldn't open a bottle, couldn't comb my hair. Every night I was wet from sweat." In acute cases, pain can last for months. Joanna Rivas, who works as a maid in the Dominican capital of Santo Domingo, said she has had joint pain since May, and her 12-year-old daughter's case is so severe the girl can't hold her pen at school. Both have been taking the pain reliever acetaminophen, the main treatment for chikungunya, which has no cure or vaccine. Besides the suffering, chikungunya has caused economic damage with the cost of providing treatment and controlling mosquitoes and by absenteeism from work. A study by the Universidad Eugenio Maria de Hostos in the Dominican Republic found nearly 13 percent of businesses said they had people miss work because of chikungunya in June. Authorities throughout the region have been spraying pesticide and encouraging people to remove water containers where mosquitoes can breed. Oxitec, a British company that has tested genetically modified aedys aegypti to combat dengue in Brazil, Cayman Islands and Panama, says it has received a surge of interest since the start of the outbreak. Chikungunya, which has been known for decades in parts of Africa and Asia, is transmitted when a mosquito bites an infected person and then feeds on someone else. 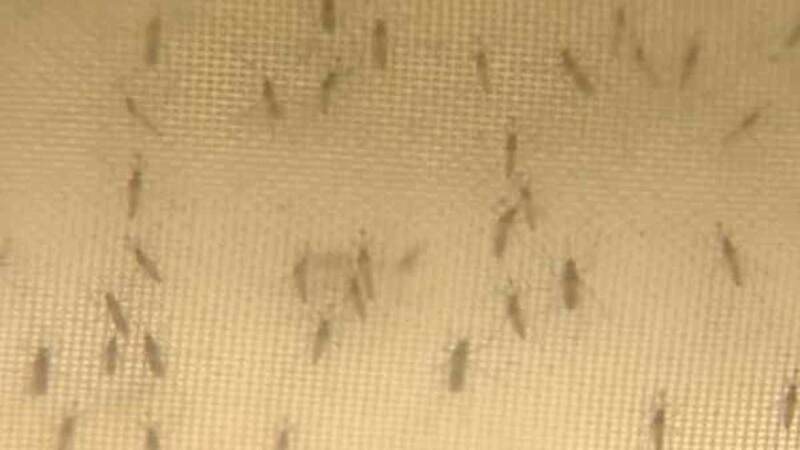 It may have found fertile ground in Latin America and the Caribbean because many people are outside in the daytime, when aedes aegypti bite, or lack adequate screens on their windows. In an article in the New England Journal of Medicine, Dr. Erin Staples of the U.S. Centers for Disease Control and Prevention said access to air conditioning to keep mosquitoes at bay might also be a factor. During an outbreak of mosquito-borne dengue in 1999 along the Texas-Mexico border, aedes aegypti were three times as abundant on the U.S. side but the number of people infected with dengue was twice as high on the Mexican side. Conditions vary widely in the region. Haiti, where many people live in flimsy shacks with little protection from mosquitoes, has been hit hard. In Venezuela, air conditioning is widespread but the country has a shortage of insect repellent and pesticide sprayers due to the country's economic problems. Staples said past outbreaks have been known to affect around 30 percent of a population, so there is room for the epidemic to grow, although it's too early to accurately project how many will get sick or whether chikungunya will become endemic to the region like dengue. The good news is that people seem to acquire immunity to all major strains. "We do believe currently that if someone is unfortunate enough to get infected, they should not be infected again," Staples said.